In 1670, ancestor Edme Goudeau was appointed as surgeon of La Rochelle by Louis XIV, King of France. He died after his retirement, in La Rochelle, having transferred his commission and the post of Chief Surgeon to his son, Henry Goudeau. I attempted, without success, to locate a copy of this document when writing "Long Journey Home" (the microfilm containing the documents had disappeared from LSU). As you are probably aware, one of the chapters of the book covers the Goudeau family in France. However, a wonderful fellow genealogist (Judith Rabalais Scola) had been given a copy many years ago and was kind enough to share it with me after reading the book. I now want to share it with you. Judy also provided me with a copy of this 1672 document. Although I am including it here, it is really unreadable. 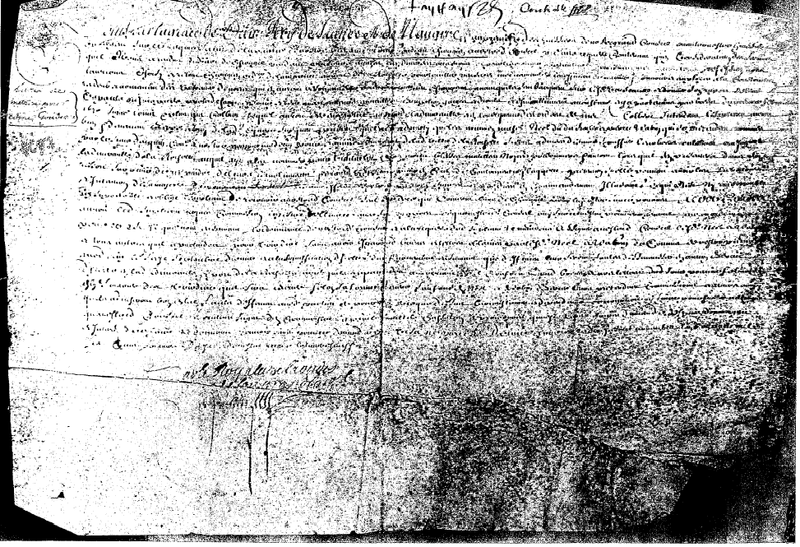 1672 Document entitled "Lettre de Maitrise ___ Edme Goudeau" (Practically unreadable)... 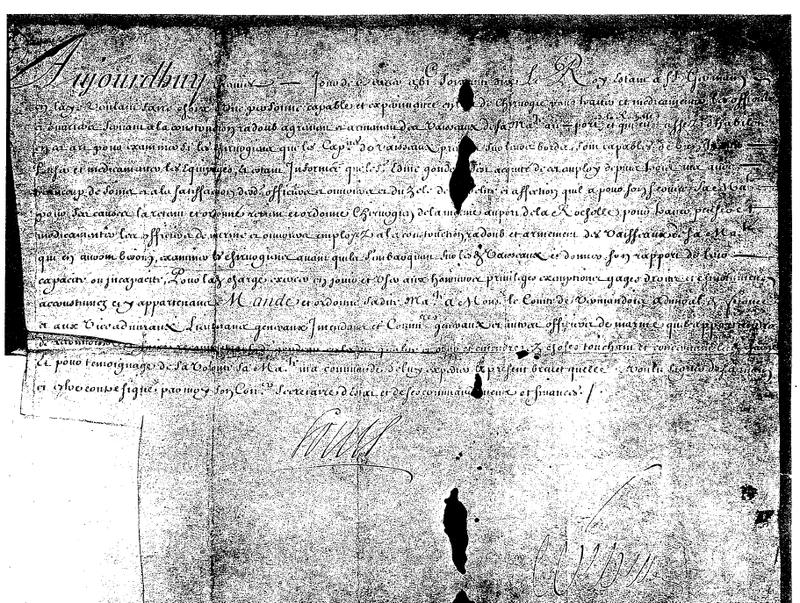 NOTE: I originally indicated that this document was the 1694 Ennoblement of Edme Goudeau but this is not the case. It is unclear whether or not Edme Goudeau was, indeed, ennobled.